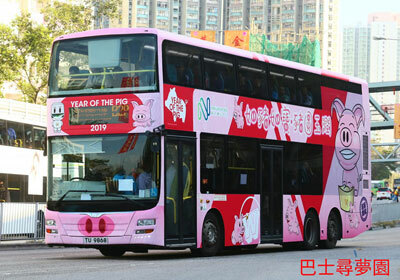 The Long Win Bus and Kowloon Motor Bus 'Year of the Pig' models have been released in Hong Kong today. 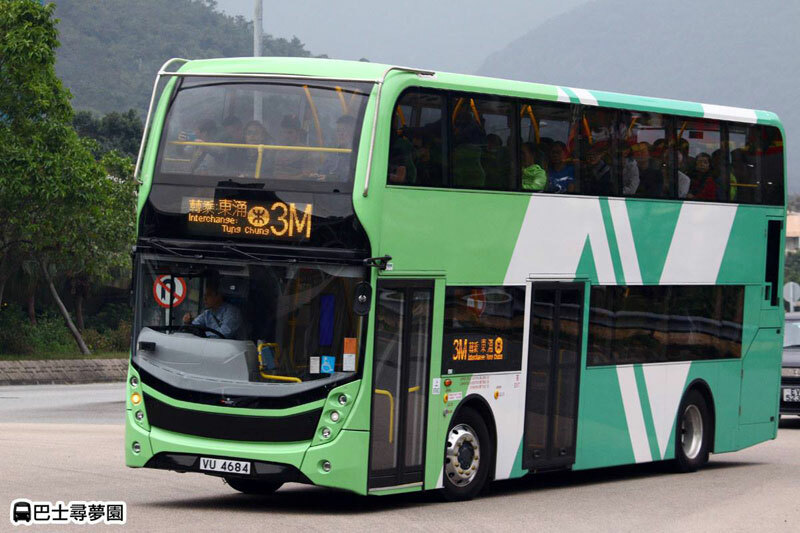 Long Win has decorated 2502 (VE 573), a 12.8 metre 'facelift' Enviro500, which is on route E33 to Airport (KMB2018125) whilst KMB has used AVBWU402 (TH 1110), a 12 metre Wrights Eclipse 2 bodied Volvo B9TL, which is on route 108 to Braemar Hill (KMB2018126). The former is limited to 700 pieces and the latter to 800 pieces. 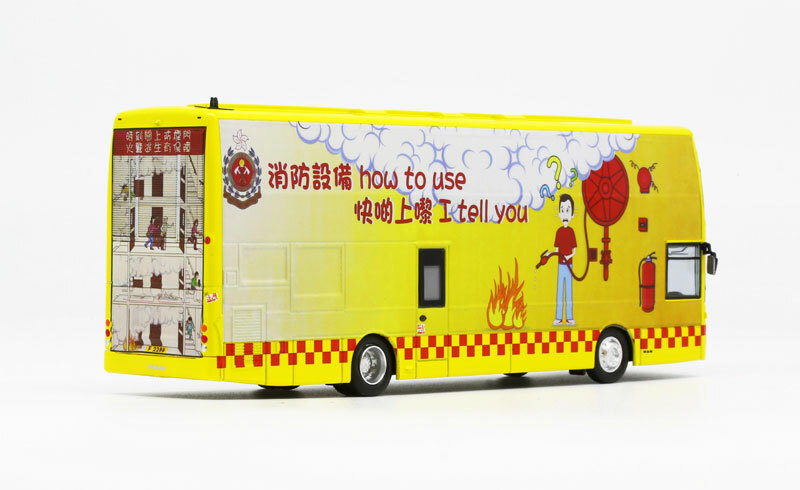 A new page, with high resolution images of the model and the actual vehicle, has now been added for the recently released Hong Kong Fire Service MAN A22 from Model 1 (63200). My thanks, once again, to Tim Moore for providing the above image. 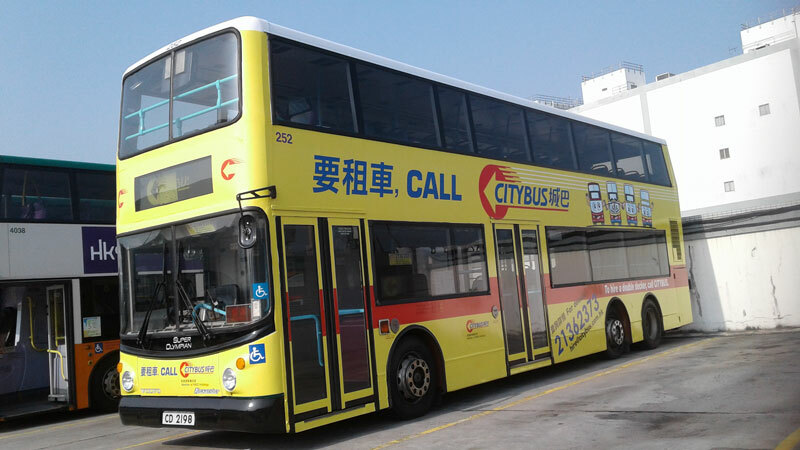 The five Citybus MAN NL262/R featured in yesterday's News update were released in Hong Kong today - just click on an image. 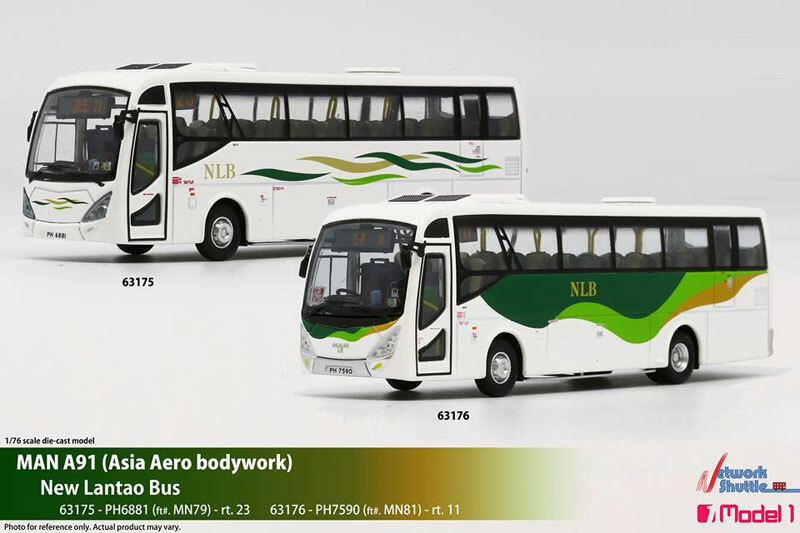 Also released today are these two New Lantao Bus Asia Aero bodied MAN A91 - new pages for each will be added shortly. 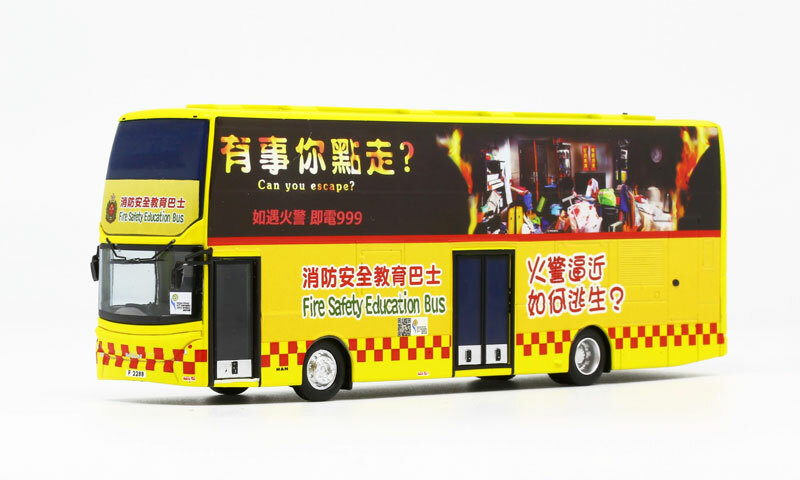 The Hong Kong Fire Service operate this MAN A22 and the above model is special commission - NOT for general sale, It is limited to 1,000 pieces (63200). 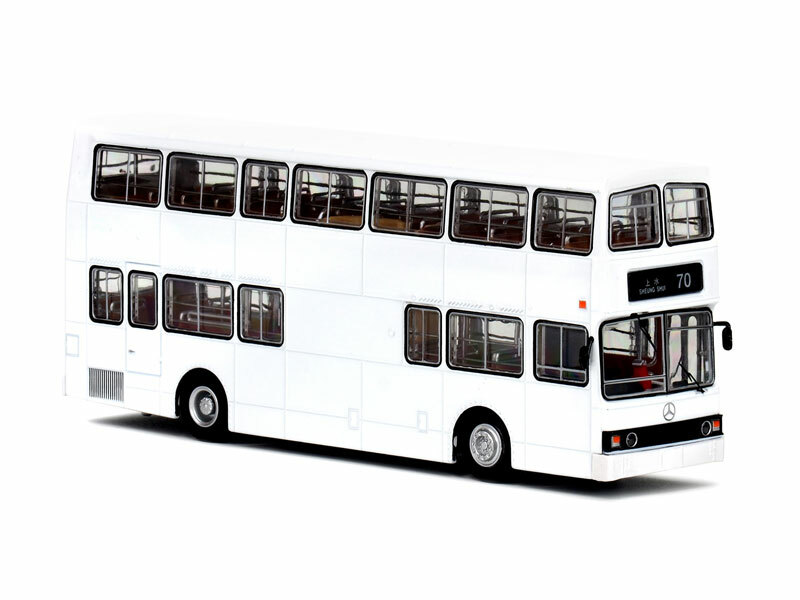 New pages have now been added for the five Citybus MAN N262/Rs from Model 1 - just click on each of the images. 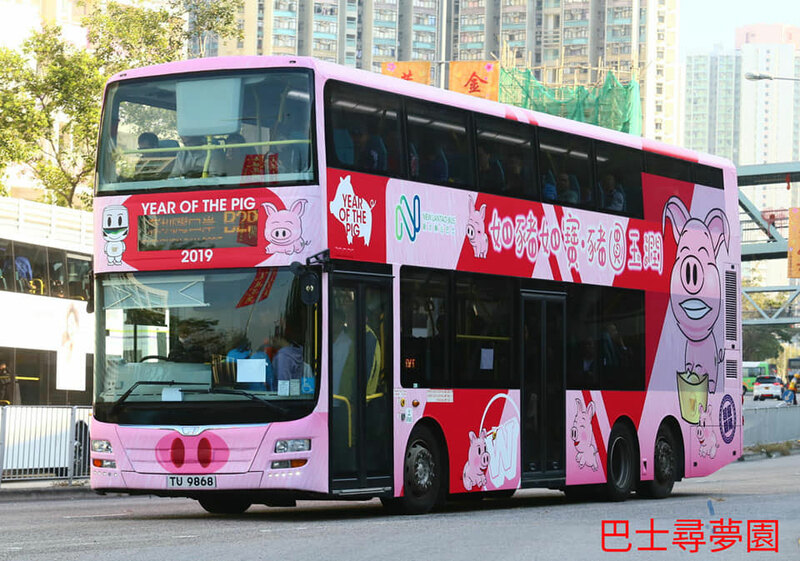 My thanks to Bus Dream Land for allowing me to share the above photographs of New Lantao Bus MAN A95 MD01 (TU 9868) displaying the company's 'Year of the Pig' livery. 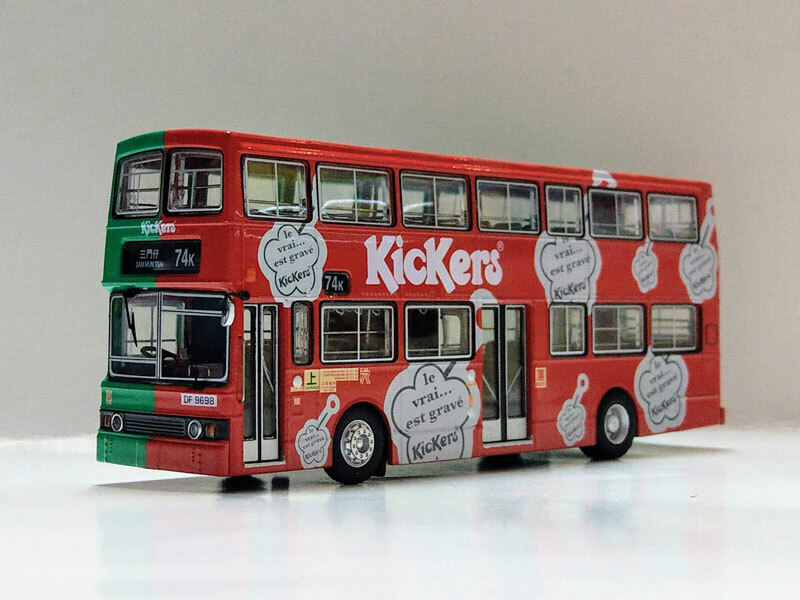 Having celebrated it's 20th anniversary last year, the site is now seeing an increase in the retirement of buses that were new in it's early days, along with models that were released soon after. 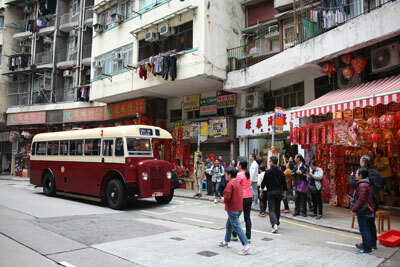 The unique Kowloon Motor Bus Neoman Centroliner, APM1 (LE 4612), is a case in point. It is pictured above soon after it entered service, having been registered on 6th October 2003. On 7th November 2005, a model was released by Drumwell, displaying the same route and destination as shown in the top photograph. This model was limited to 2,000 pieces and full details can be found here. 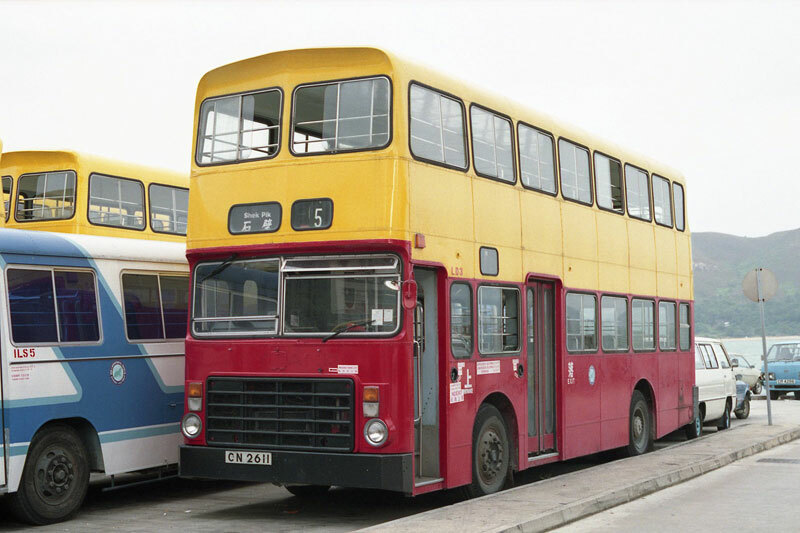 The above photograph, taken very recently and kindly provided by Jason Fong, sadly brings the story to an end, as APM1 sits alongside a couple of other buses whose future looks bleak, despite being only just over 15 years of age. 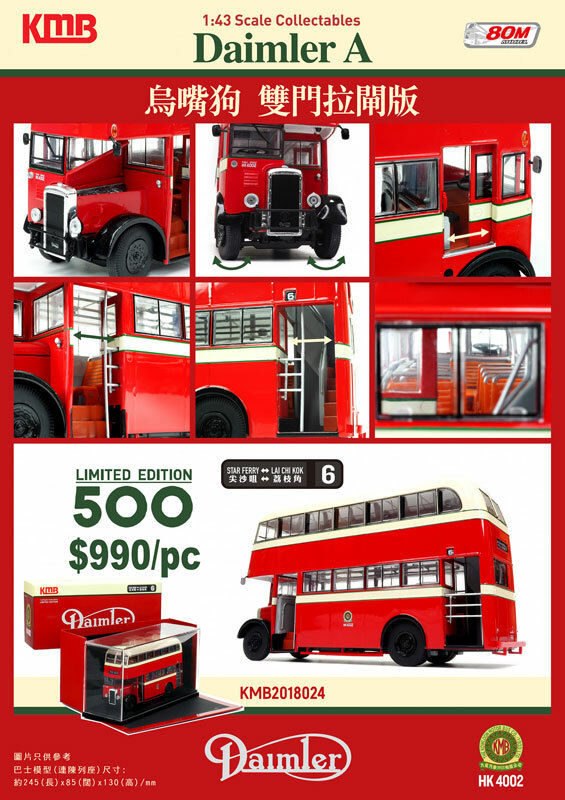 Released in Hong Kong today is a second 1/43 scale Kowloon Motor Bus Daimler 'A', this time featuring the traditional radiator. 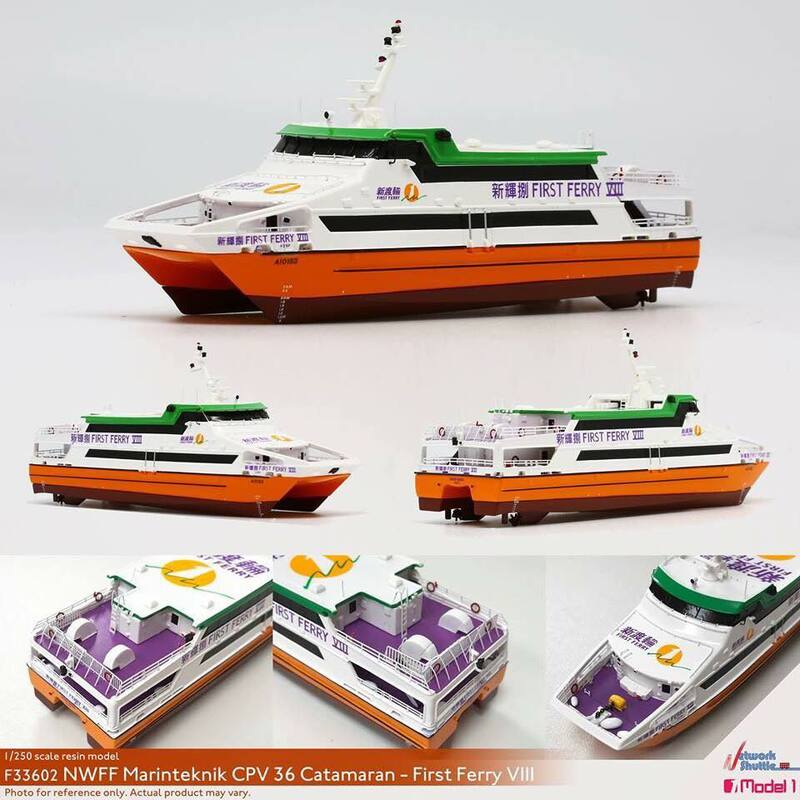 The model features HK4002 on route 6, with a destination of Star Ferry - Lai Chi Kok (KMB2018024) - it is limited to 500 pieces. 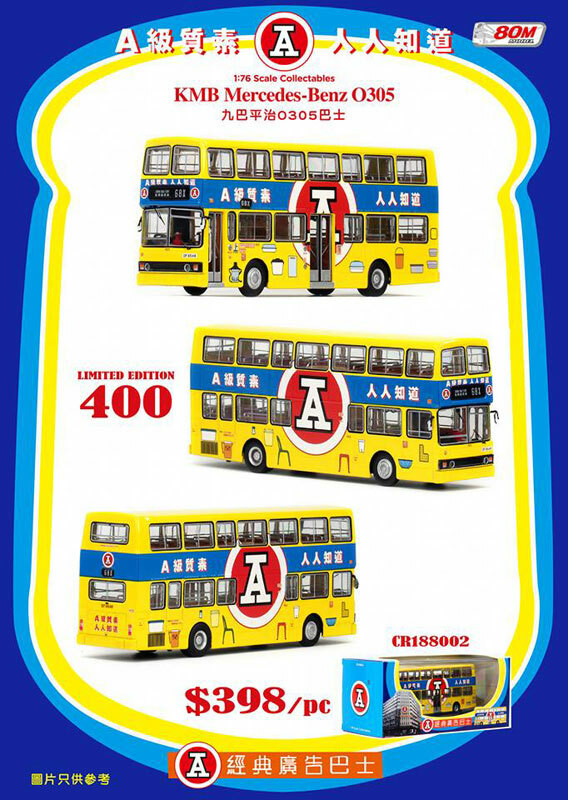 AK Classic has released it's fifth resin Kowloon Motor Bus liveried Albion Victor VT23L, this time featuring L168 (AD7082) with a single door arrangement. It is on route 10 to Mong Kok and is limited to 120 pieces (AK3505). 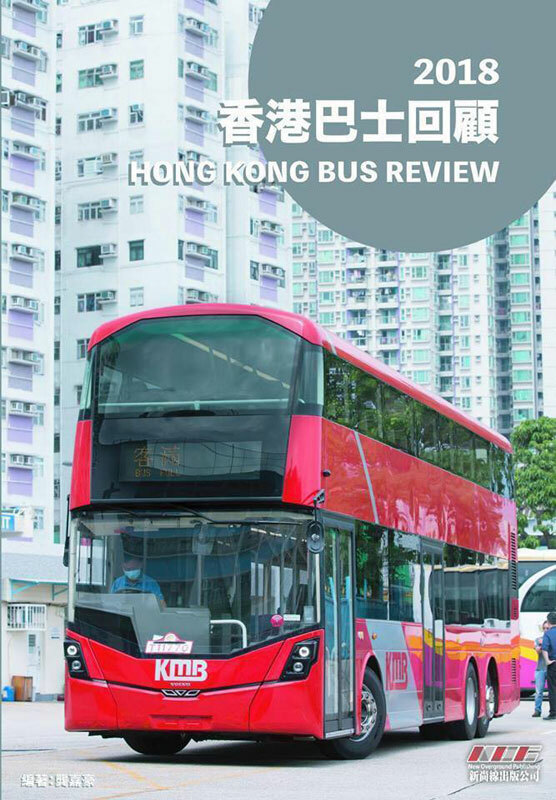 Now available to purchase is the '2018 Hong Kong Bus Review' published by New Overground Publishing. 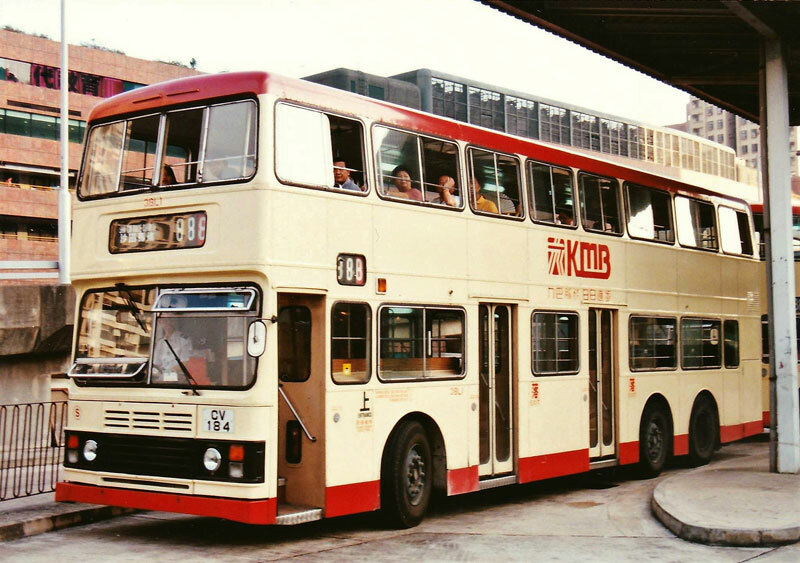 There was a break of over 20 years between double-deck buses running on southern Lantau Island bus routes - previously New Lantao Bus operated Leyland Victory Mk 2s, and it was 19 years ago this month that Collector's Model released the above model of LD7 (V116C). Coincidently, Tim Moore recently posted a photograph of LD3 at Mui Wo, taken in 1989, and I am very grateful to Tim for allowing me to share his excellent photograph. Now just awaiting a model of a New Lantao Bus Enviro400! 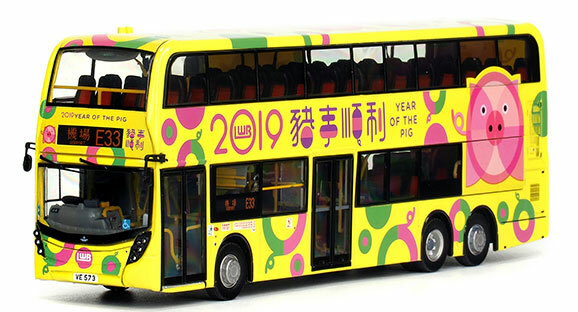 A new page has now been added to the section featuring some further details of the re-introduction of double-deck buses by New Lantao Bus on route 3M. 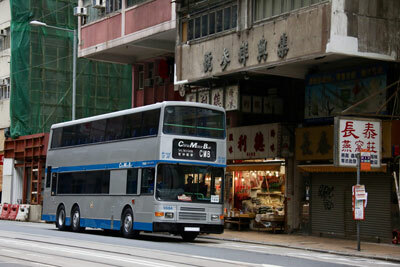 Citybus has applied it's own all-over advertising to Volvo Super Olympian 252, formerly New World First Bus 5083. This is one of twenty-one such vehicles acquired from NWFB and allocated fleet numbers 249-269. To mark the 115th anniversary of Hong Kong Tramways, 'millennium' tram no. 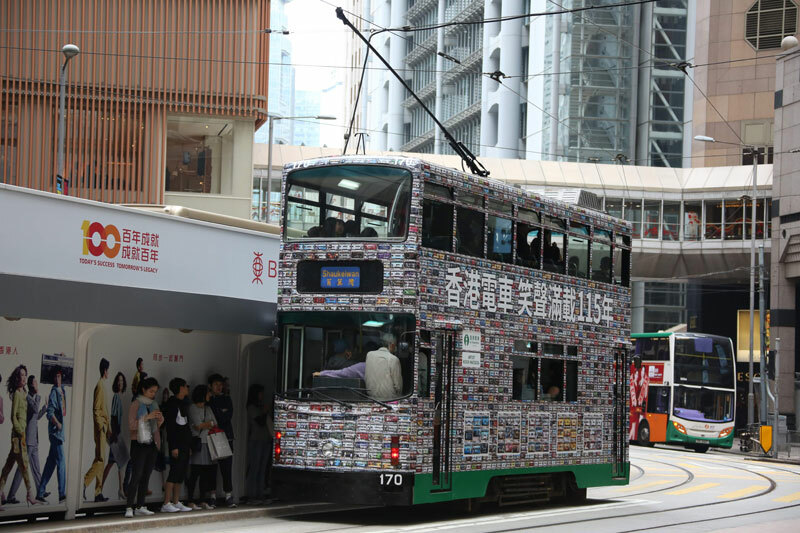 170 has been decorated with 350 images of Hong Kong trams. Japanese artist Koichi Matsuda has taken as many as 10,000 photos of Hong Kong’s iconic trams over the past five years but at no time did he expect his pictures to one day feature on the vehicle he loves. The city’s tramway will celebrate its 115th anniversary this year with the launch of Art Tram – designed by Matsuda. 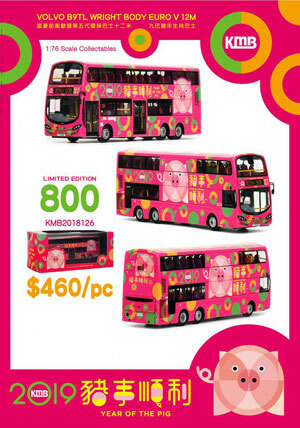 The body of the special edition tram uses around 350 of his images and shows a range of eye-catching advertisements, from international retail brands to Chinese medicated oil. A link to the full article in the South China Morning Post can be found by following this link. A new page has now been added to the section featuring photographs from yesterday's Island Vintage Bus Running Day. 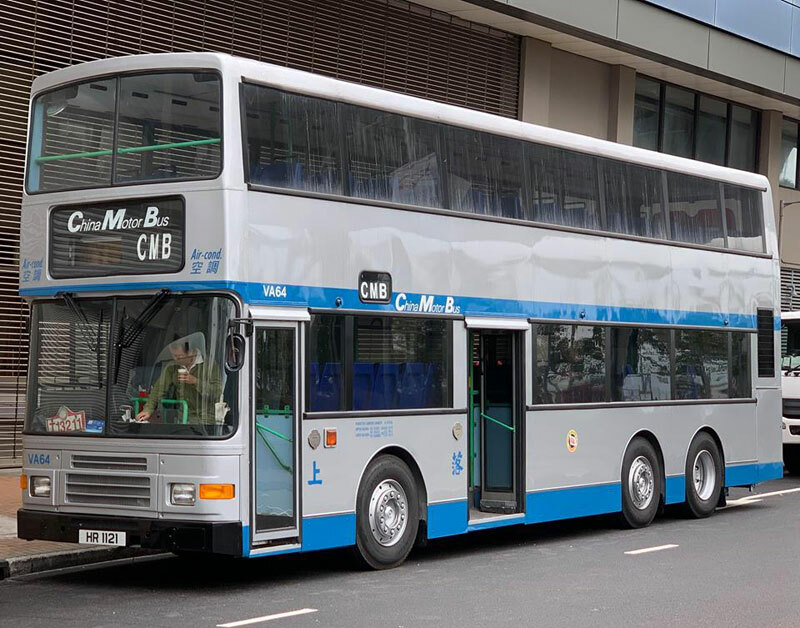 Today saw the inaugural Island Vintage Bus Running Day in Hong Kong, with two former China Motor Bus vehicles taking place, namely Guy Arab Mk V AD4563 and Volvo Olympian VA64, the last new bus delivered to China Motor Bus. 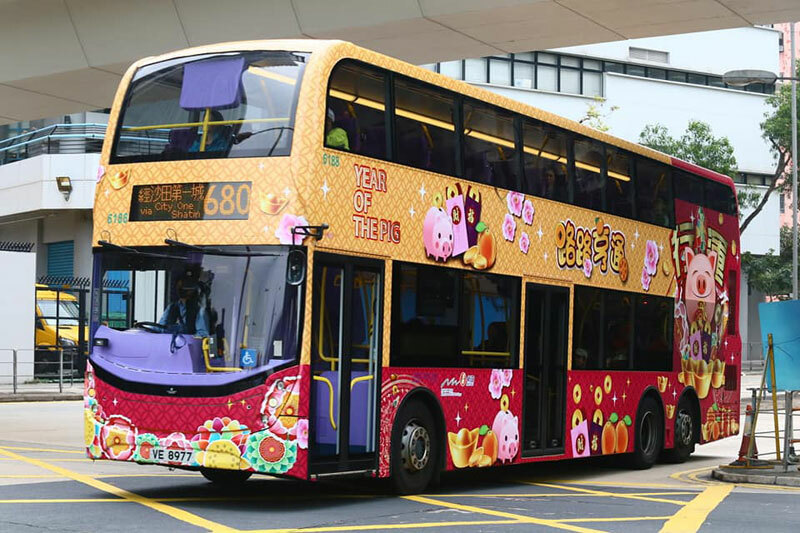 New Lantao Bus today introduced its Enviro400s on route 3M, which operates between Mui Wo Ferry Pier and Tung Chung Town Centre. The Transport Department gave the go-ahead back in April 2018 for the use of double-deckers on this route stating that they expected the bus operator to monitor the route closely, particularly in areas where the buses may collide with tree branches. The buses can accommodate up to 88 passengers, which increases capacity by 40 per cent. 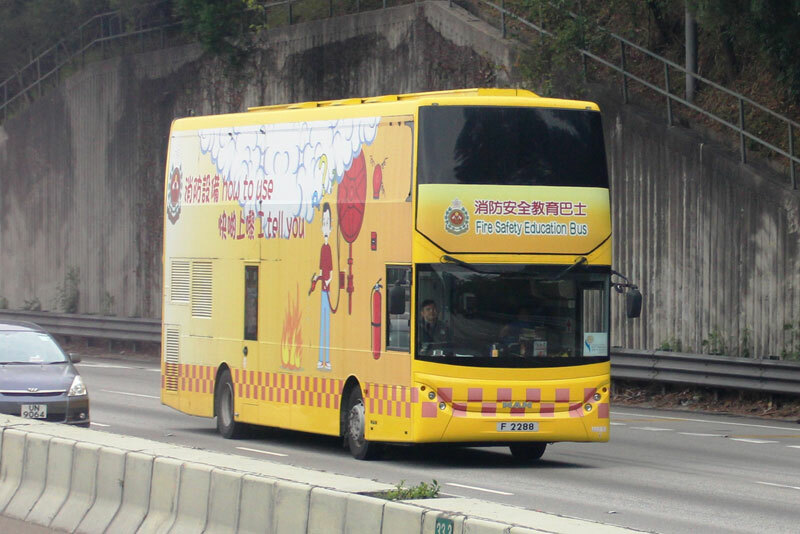 AD10 (VU4684) was noted earlier today heading for Tung Chung. And another shot of ME5 from Tim Moore's superb collection. My thanks to Tim Moore for allowing me to share this shot of ME5, taken at Yuen Long in November 1992. 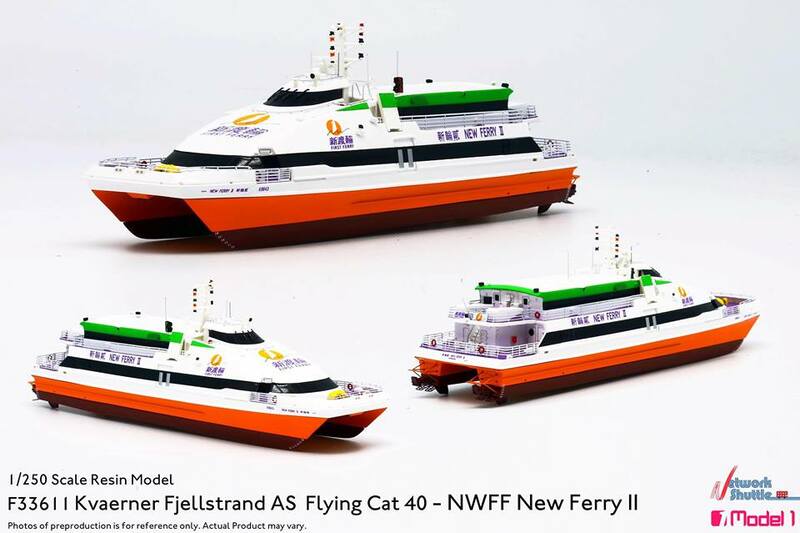 Meanwhile, the above New World First Ferry was released yesterday. 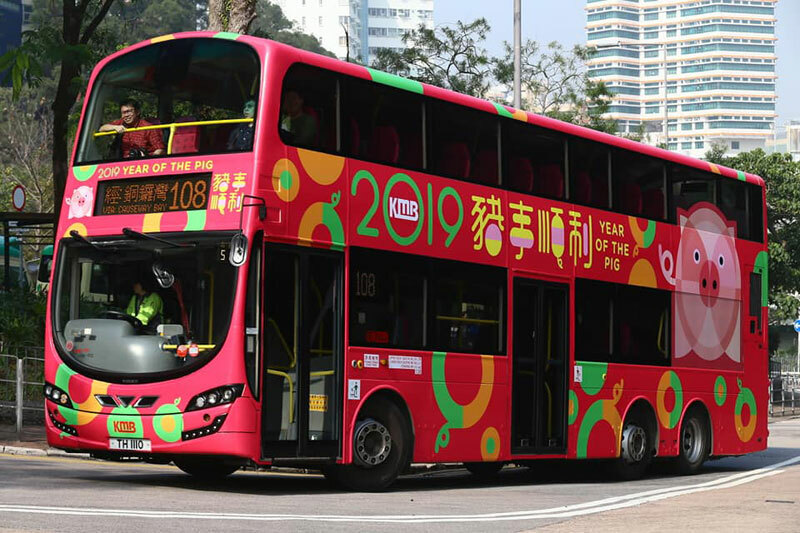 These two Kowloon Motor Bus Mercedes-Benz 0.305 models have been released in Hong Kong today - ME5 (DF6548) carries 'Red A' all-over advertising and is on route 68X to Jordan Road Ferry (CR188002) - it is limited to 400 pieces. 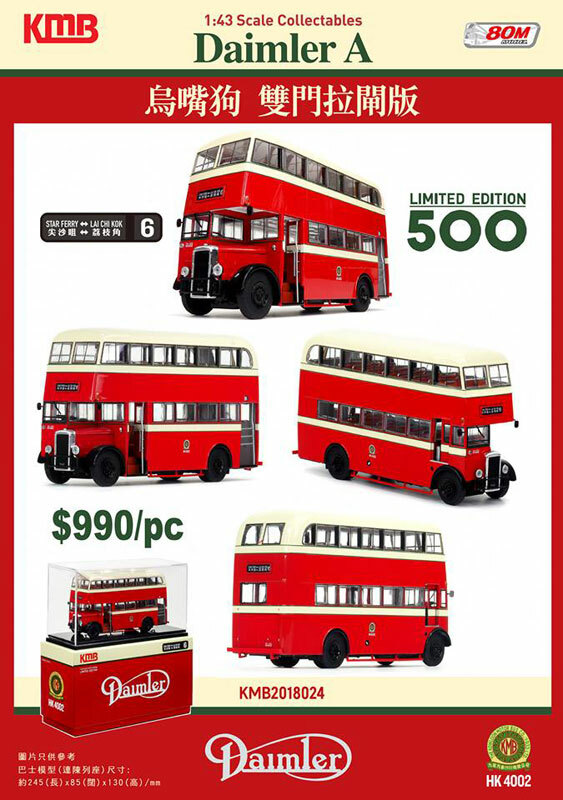 The plain white version carries no fleet number or registration number, but is on route 70 to Sheung Shui (CR188005) - it is limited to 380 pieces. 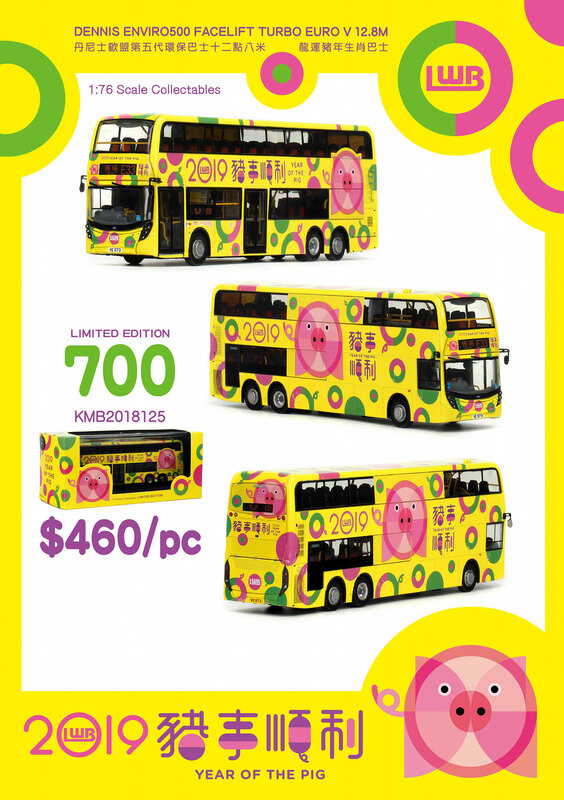 80M Bus Model Shop are accepting pre-orders for the KMB and Long Win 'Year of the Pig' models, as detailed above - these images are 'clickable'. 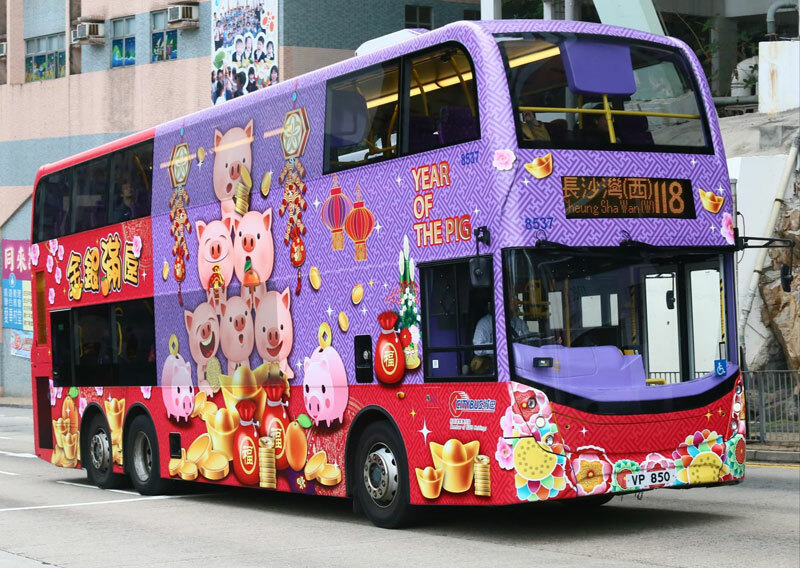 Some further shots of the Citybus and New World First Bus 'Year of the Pig' liveried buses in service today - thanks to Hong Choi, New pages will be added to the section of the site with further images shortly. 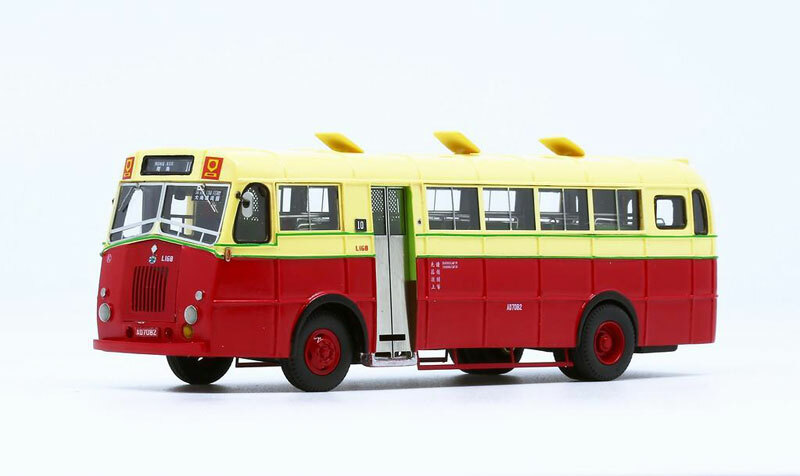 My thanks to HO Wing Hong for allowing me to share his photograph of the actual Kowloon Motor Bus 3BL1, models of which were released yesterday. 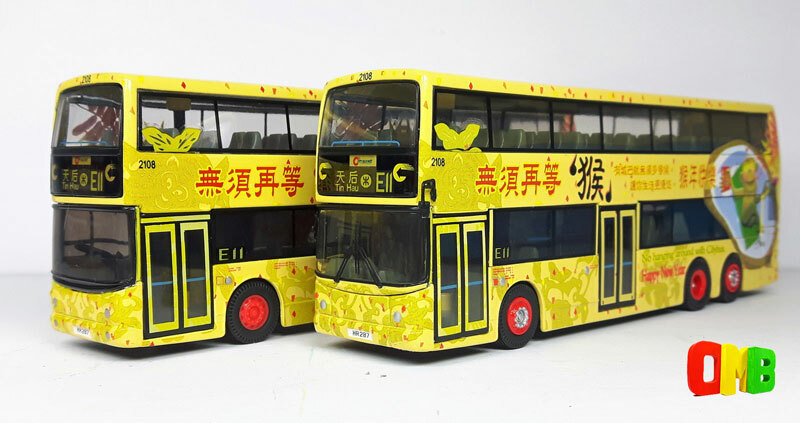 Released in Hong Kong today are the two Kowloon Motor Bus liveried ECW bodied Leyland Olympians from P&T Diecast (DC1022 & DC1023). 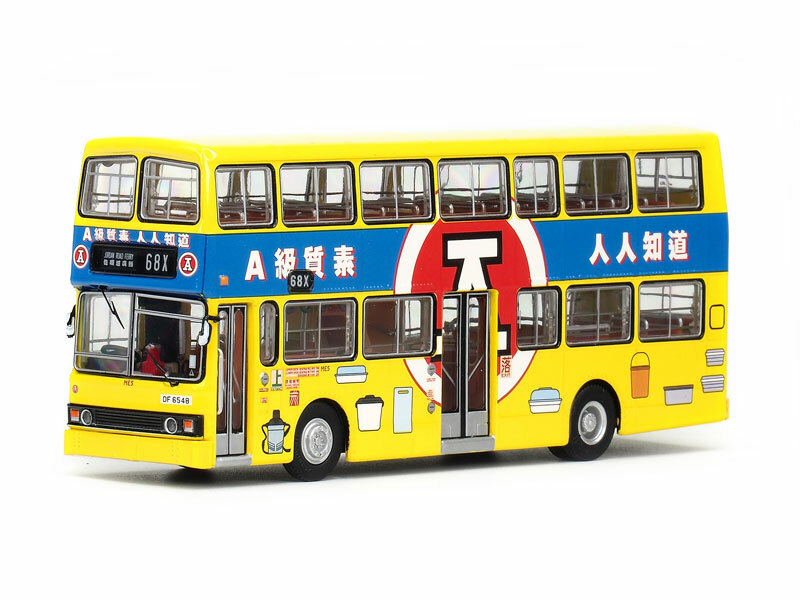 Today also sees P&T Diecast post a 'teaser' photograph of part of an MTR liveried Daimler DMS on route 602 between City One Shatin and Kowloon Tong. 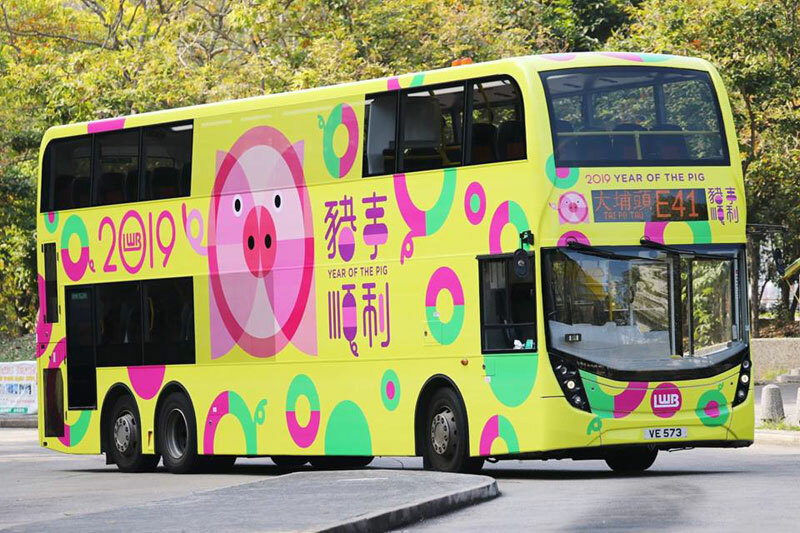 Citybus and New World First Bus unveiled their 'Year of the Pig' liveried buses today - Citybus 8537 (VP850) is a 12-metre 'facelift' Enviro500 (63346/CM151) whilst New World First Bus has decorated 6188 (VE8977) a 12.8 metre 'facelift' Enviro500 (63345/20081). No news on the release date of the respective models is presently known. 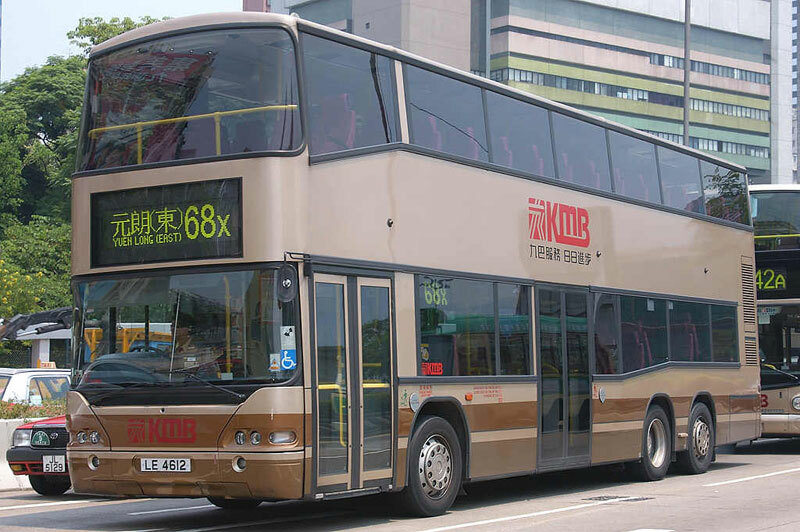 Wrightbus International, the international arm of the Wrights Group, has won two further orders from Kowloon Motor Bus (KMB) in Hong Kong for a total of 100 double-deckers. Fifty StreetDecks with two axles are destined for the territory, the first time Wrightbus integral vehicles have been ordered by this long standing customer, along with an order for a further 50 double-deckers with a Volvo chassis. This follows delivery of a solitary StreetDeck last year for evaluation. 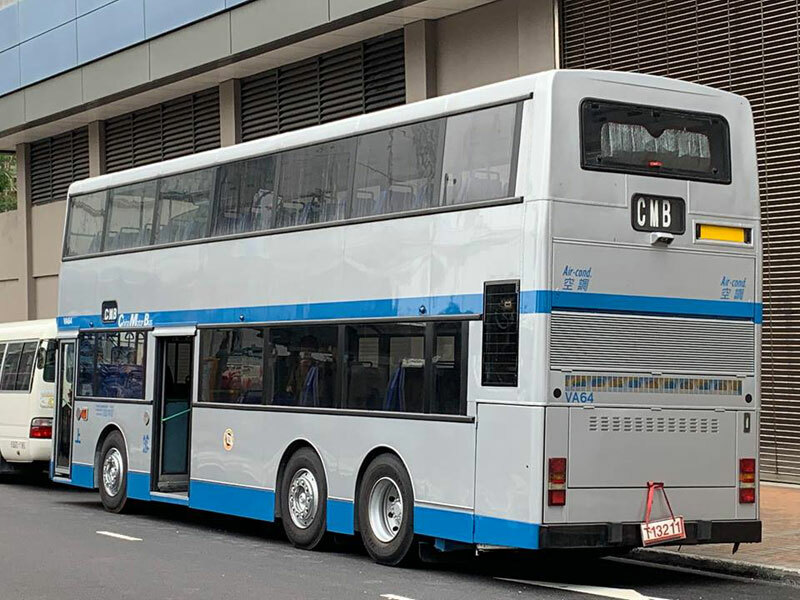 Due to be delivered and deployed on Hong Kong routes during the second half of 2019, the StreetDecks all feature twin doors and are 10.65m in length. The StreetDecks will have a Euro6 six-cylinder Mercedes-Benz OM936 engine, a Voith D854.6 gearbox with an integral retarder included. 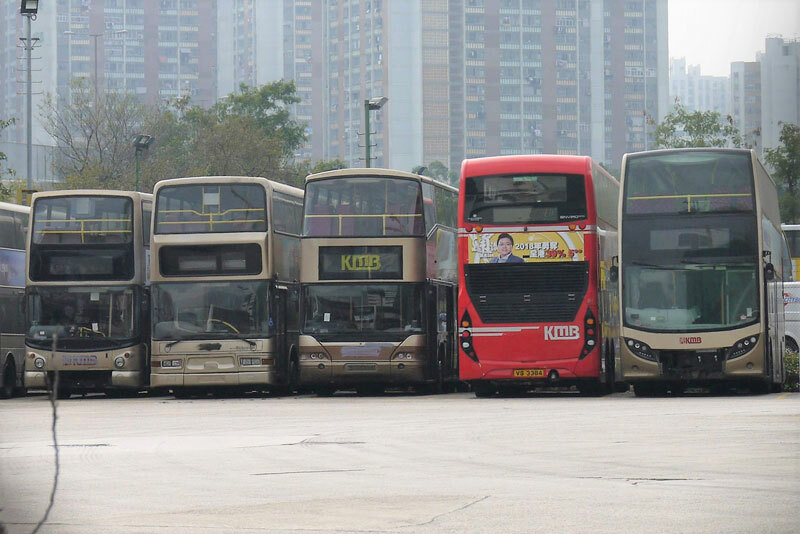 All seats will be fitted with seatbelts, as Hong Kong buses operate with more seated passengers than standing. Air conditioning is fitted in accordance with Asia Pacific specification, hence the six-cylinder engine in place of the four-cylinder OM934 that has been standard on UK StreetDecks. The OM936 is also available now as a UK option. 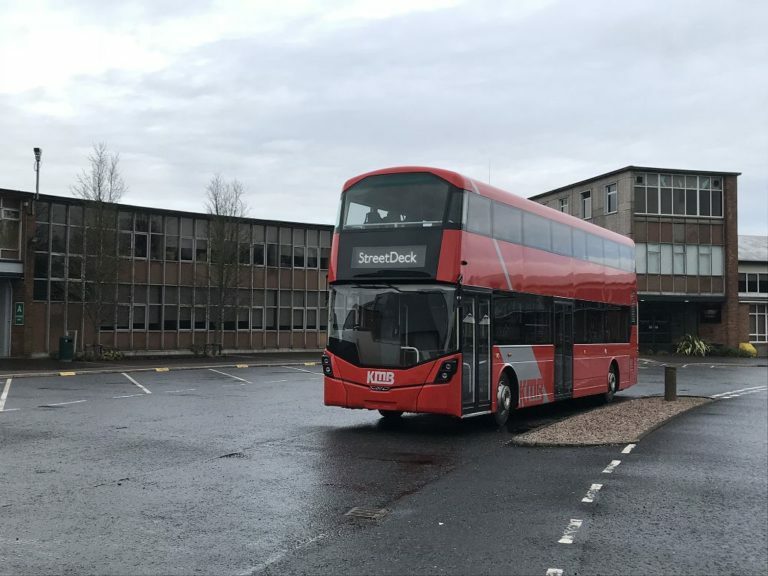 The second order for the additional 50 double-deckers are of the same tri-axle model and specification as the 150 announced in October 2018, featuring Wrightbus bodywork and a Volvo B8L chassis. This latest order will be delivered in early autumn 2019 and brings the total number of units sold by the Ballymena manufacturer to Hong Kong in the past two years to 584. John McLeister, group business and product development director, says: “The Asia Pacific market, in particular Hong Kong, is currently proving to be extremely buoyant for us. 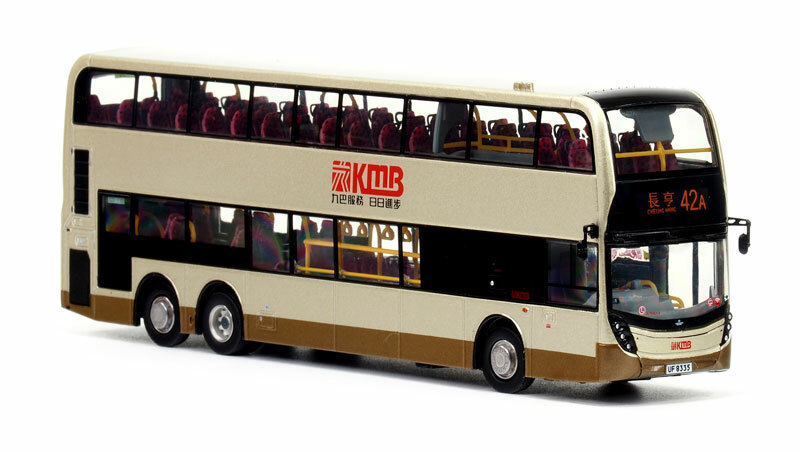 These latest orders follow business concluded with KMB’s sister company, LongWin Bus, as well as Citybus and Japanese tour bus operator, Hatobus. All orders will be manufactured at the new Wrightbus campus in Gracehill, Ballymena. 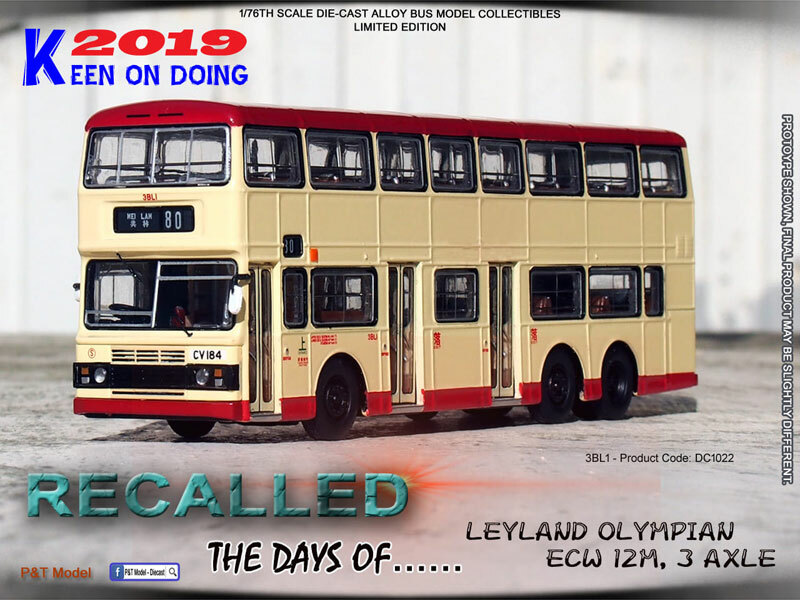 Another new page has just been added to the section of the site, this featuring the Citybus Duple Metsec bodied Dennis Tridents acquired from New World First Bus. 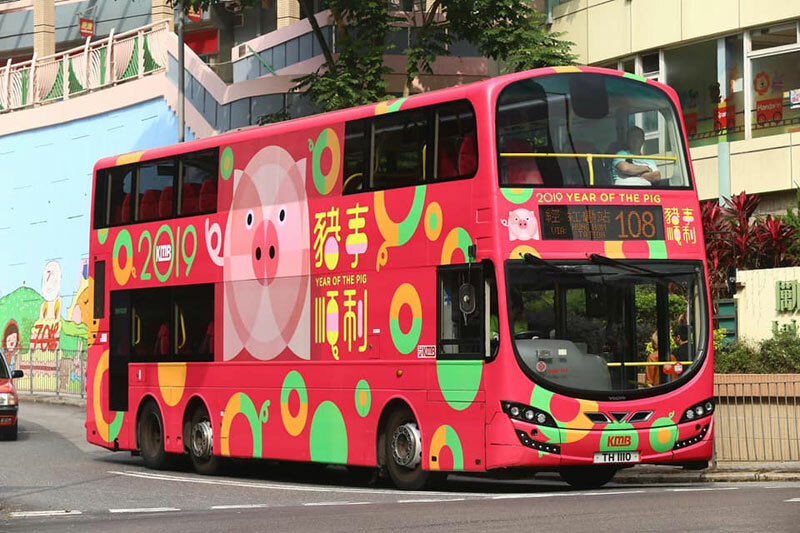 Kowloon Motor Bus Wrights bodied Volvo B9TL AWBWU402 (TH1110) in 'Year of the Pig' livery operating on route 108 earlier today. My thanks to Hong Choi for allowing me to share his photographs. Larger images for this and the Long Win version have been added to the section of the site. 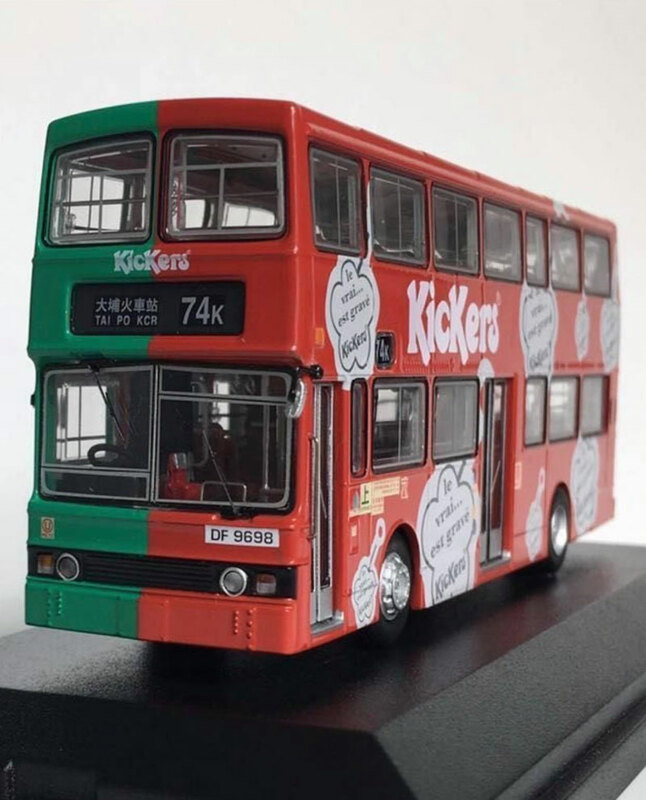 I believe there is a variation to the recently released 'KicKers' Mercedes-Benz 0.305 from BR Bus Model (BR-002), this featuring a destination of Tai Po KCR, as shown above - confirmation or otherwise would be welcome. 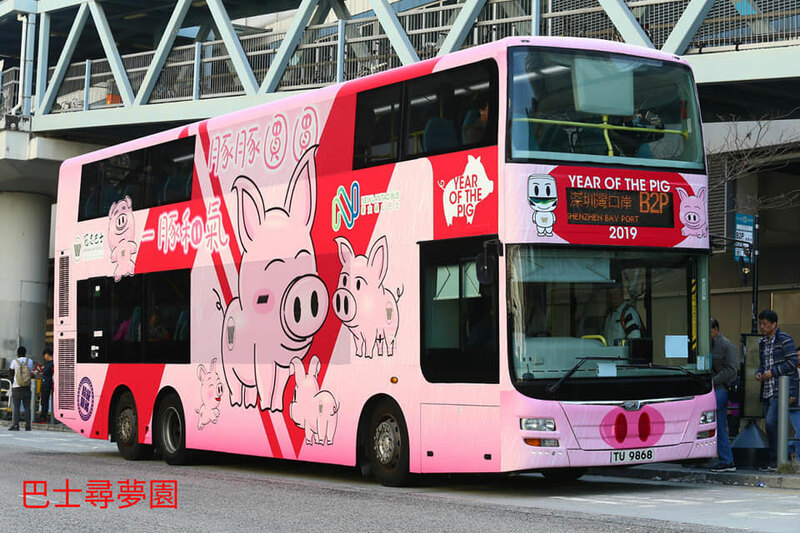 As mentioned below, Kowloon Motor Bus and Long Win Bus have unveiled their 'Year of the Pig' liveries and above is that for Long Win Bus adorning 12.8 metre 'facelift' Enviro500 2502 (VE573). 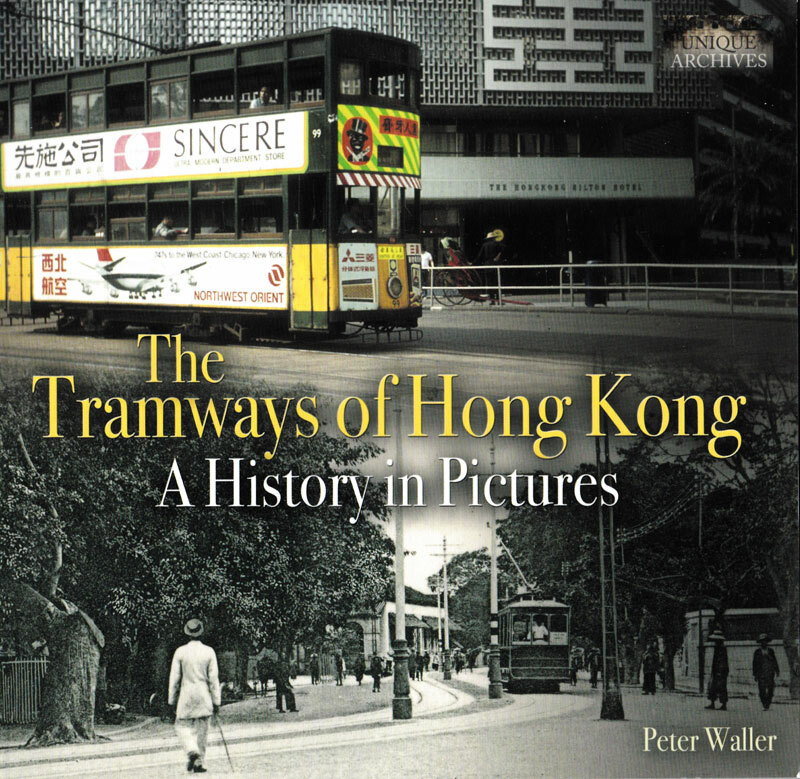 My thanks to Keith Wood for drawing my attention to this recent publication, 'The Tramways of Hong Kong - A History in Pictures' by Peter Waller, which arrived today. Further details can be found by following the link. Photographs of the 'Year of the Pig' buses for Kowloon Motor Bus and Long Win Bus have appeared today. 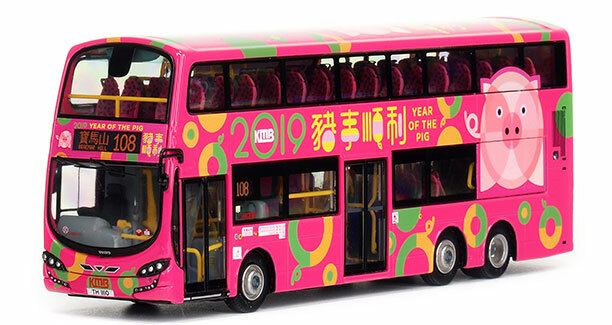 The KMB version features Wrights bodied Volvo B9TL AWBWU402 (TH1110) in a predominantly pink livery whilst that for Long Win features 12.8 metre 'facelift' Enviro500 2502 (VE573) in a predominantly yellow livery. According to my records, this is the first model to feature route number 74K and destination of Sam Mun Tsai. 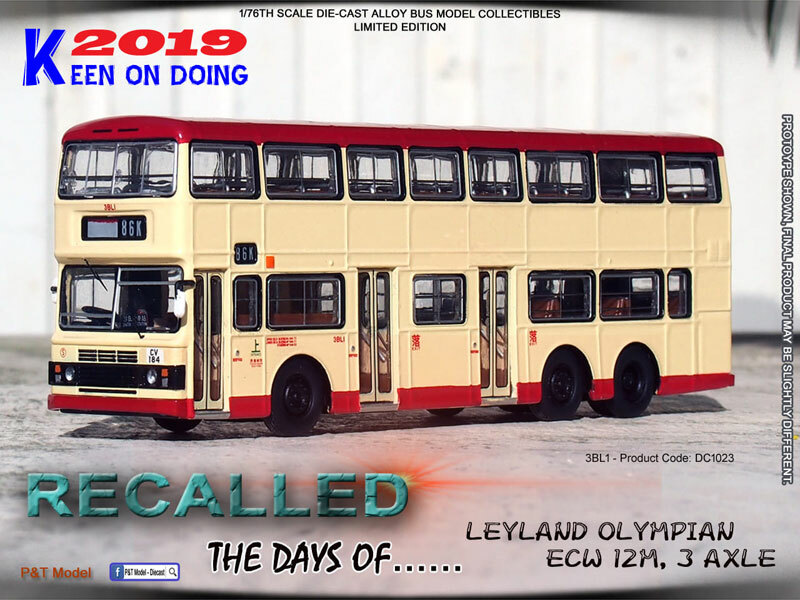 Having just obtained a pre-production example of Corgi's 2004 Citybus 'Year of the Monkey' Alexander ALX500 bodied Dennis Trident (OM44401) I have just added a new page to the 'Pre-production models' section of the site - just follow this direct link. How times have changed for Corgi - released twenty years ago this month was this Stagecoach Hong Kong Volvo Olympian (43217), one of eighteen models announced by Corgi in their January-March 1999 catalogue. 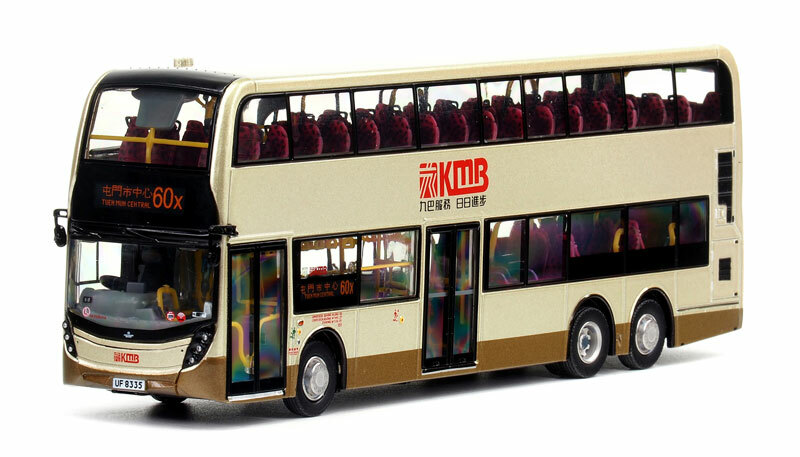 Released in Hong Kong today are these two Kowloon Motor Bus liveried 11 metre Volvo Olympians from Best Choose. 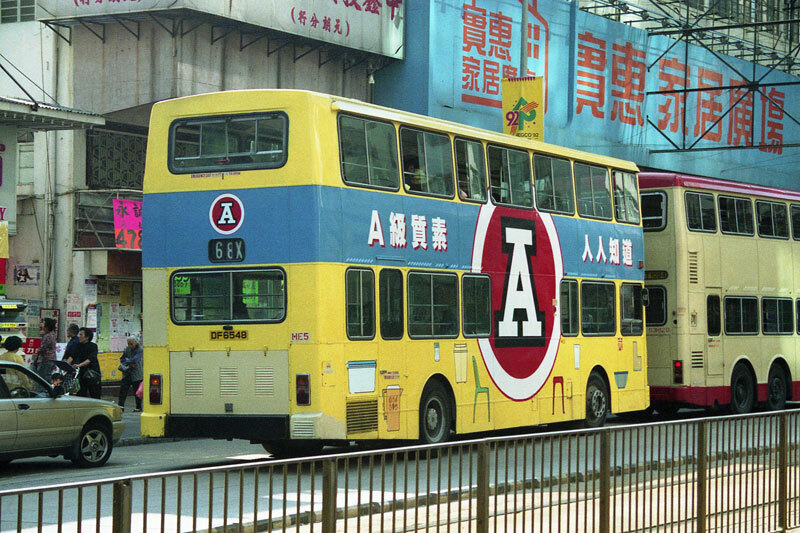 AV249 (HH6380) (top) is on route 60X to Tuen Mun Town Center (180131) and AV156 (GY6694) is on route 307 to Sheung Wan (180132). Each is limited to 350 pieces and new pages and further photographs will be added shortly. the inclusion of the site's name and new logo, as a result of the increasing number of visitors who do not access the site via the 'Home' page. 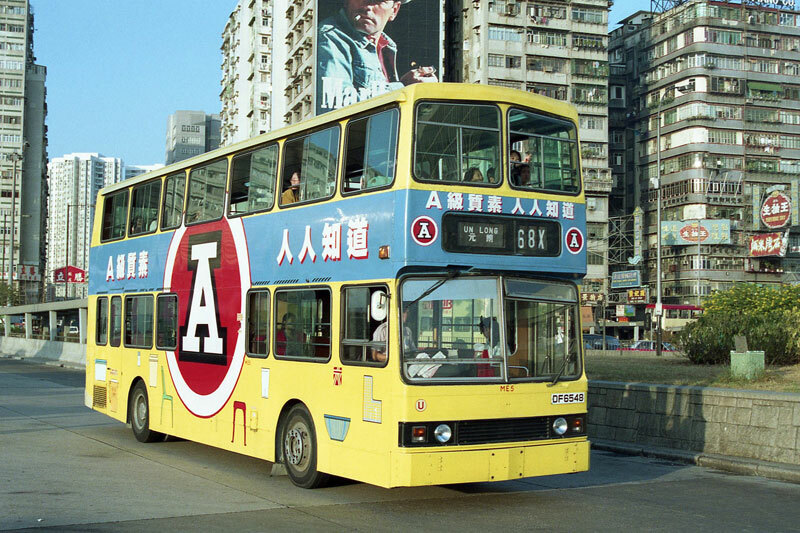 My thanks to Kennis Tam for allowing me to share these shots of former China Motor Bus Volvo Olympian VA64, the final new bus for the company, which he spotted in Sheung Wan earlier today. 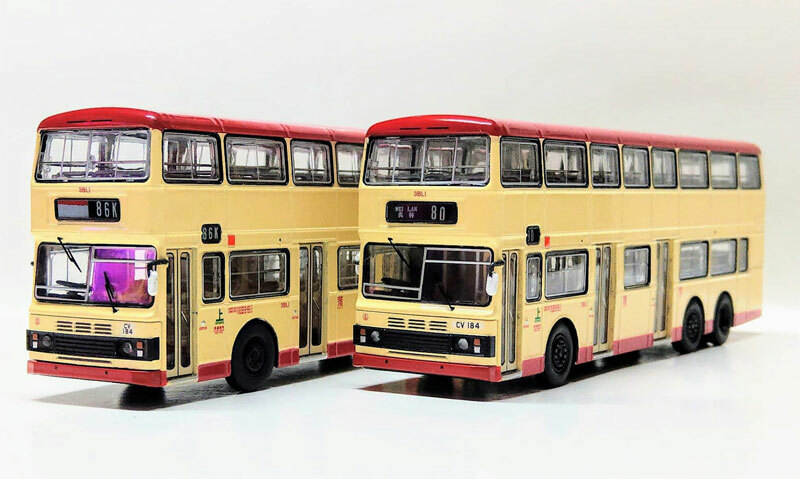 New pages have now been added for the two Kowloon Motor Bus Mercedes-Benz 0.305 models detailed below. 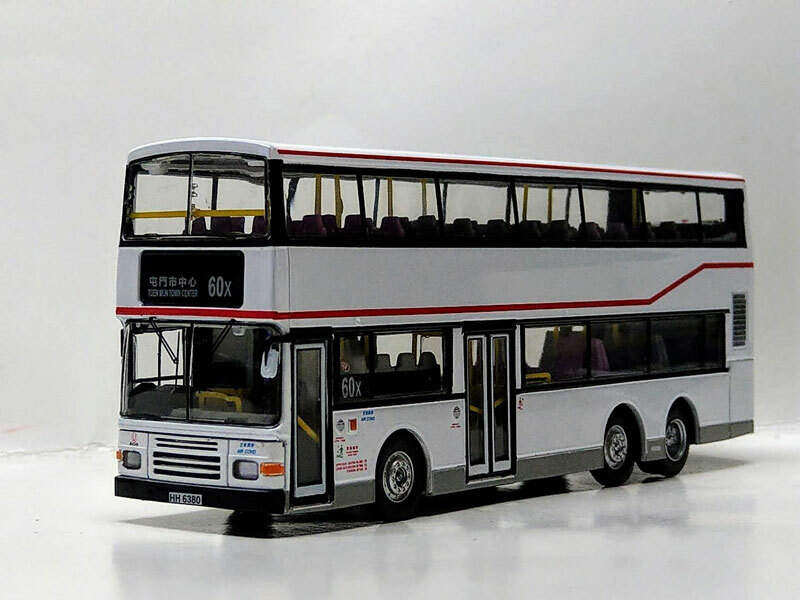 80M Bus Model Shop are accepting pre-orders for the above Mercedes-Benz 0.305 models - ME5 (DF6548) carries 'Red A' all-over advertising and is on route 68X to Jordan Road Ferry (CR188002) - it is limited to 400 pieces. The plain white version carries no fleet number or registration number, but is on route 70 to Sheung Shui (CR188005) - it is limited to 380 pieces. 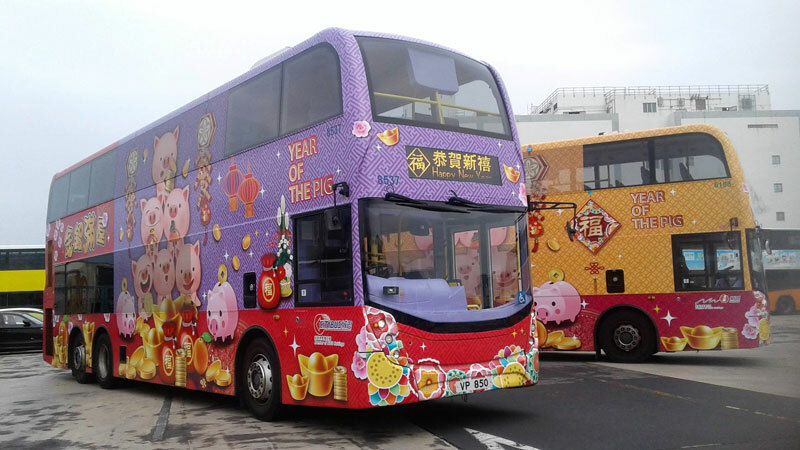 Released in Hong Kong today are these two 12.8 metre 'facelift' Enviro500s in Kowloon Motor Bus champagne livery. Both feature 3ATENU119 (UF8335) - the first (top) is on route 42A to Cheung Hang (KMB2018094) whilst the second is on route 60X to Tuen Mun Central (KMB2018121). Each is limited to 400 pieces. 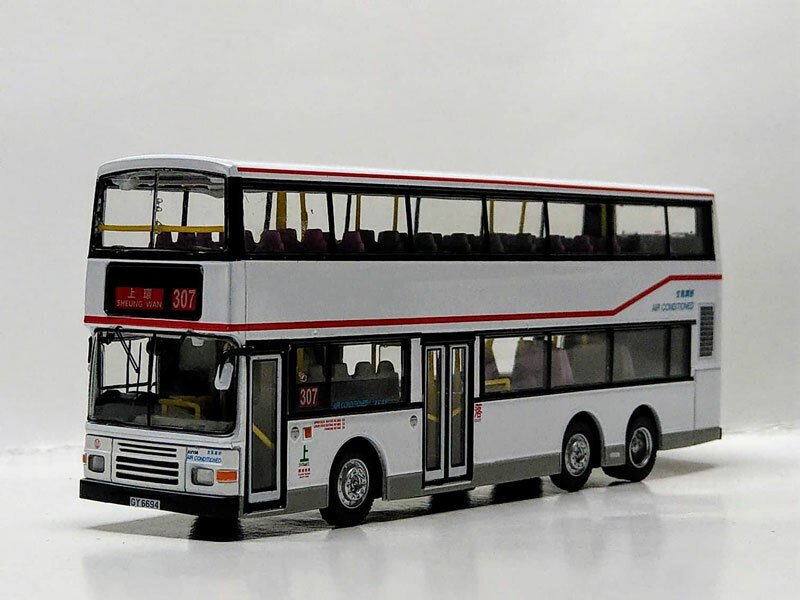 P&T Model (Diecast) are to release a second version of Kowloon Motor Bus 3BL1 (CV184) (see News 1st January) this version is on route 80 to Mei Lam (DC1022). 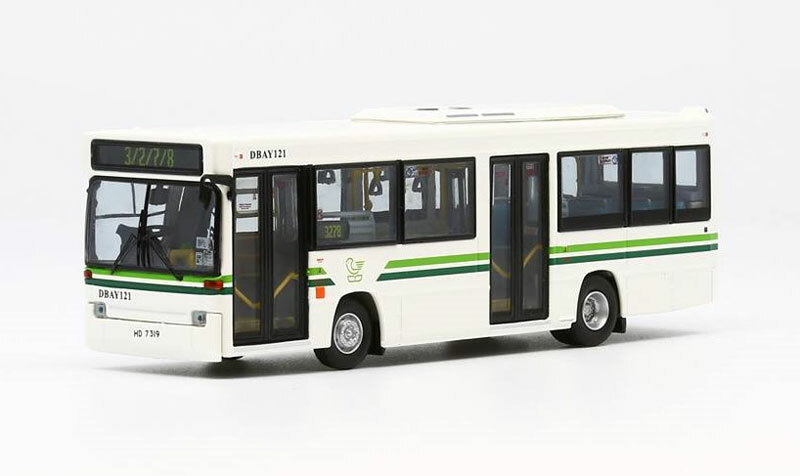 New pages have just been added for the two forthcoming 16-seat Toyota Coaster public light buses from Model 1 - AMS1 is on route 451 to Fo Tan (63805) (left) and AV6168 is on route 56 to North Point (63806). It didn't take long for the first models of 2019 to be released! 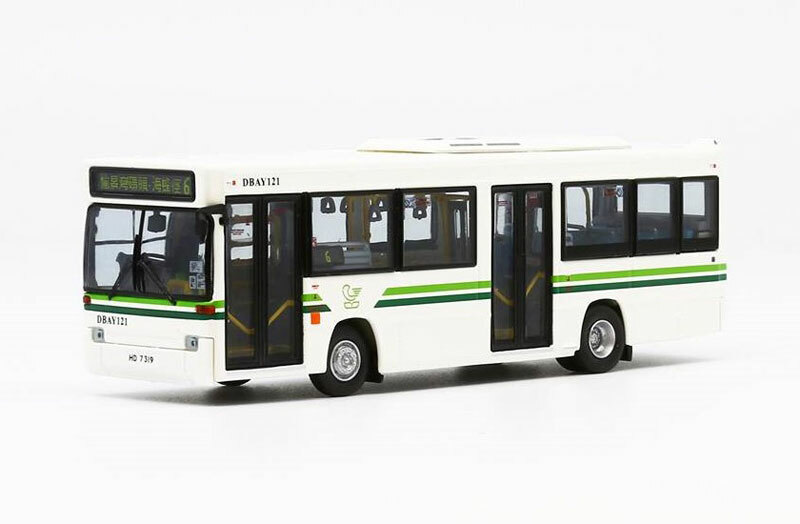 These two versions of Discovery Bay's Plaxton Pointer bodied Dennis Dart, DBAY121 (HD7319), from Model 1, were released today. That on route 6 (63123) is limited to 500 pieces whilst that with a destination of 3/2/7/8 (63124) is limited to 388 pieces. 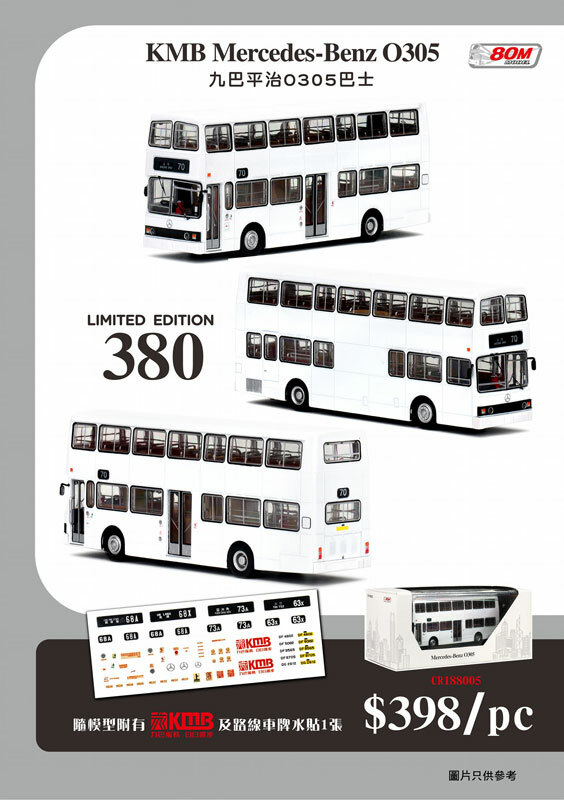 P&T Model (Diecast) has announced today it will release a model of Kowloon Motor Bus 3BL1 (CV184), a 12 metre three-door Eastern Coach Works bodied Leyland Olympian (DC1023). No other details are presently known.